Up to now, piano prodigy Julien Libeer (b. 1987) has – quite surprisingly – been able to steer clear of the international spotlights, in spite of being widely recognised as one of the world’s most astonishing talents. In 2010, at the tender age of 22, he was nominated “Young musician of the year” by the Belgian music press; in 2008 he had already received the prestigious Juventus Award – previously awarded to later icons like Piotr Anderszewski and Emmanuel Pahud. Since then, he has performed on stages like the Palau de la Musica Catalana (Barcelona), Barbican Hall (London), and the Concertgebouw (Amsterdam), often in series typically reserved for more “weathered” virtuosi. It is characteristic for his belief that “good exists, but good enough does not” that Julien Libeer has waited until his 28th year to issue his first solo recording. 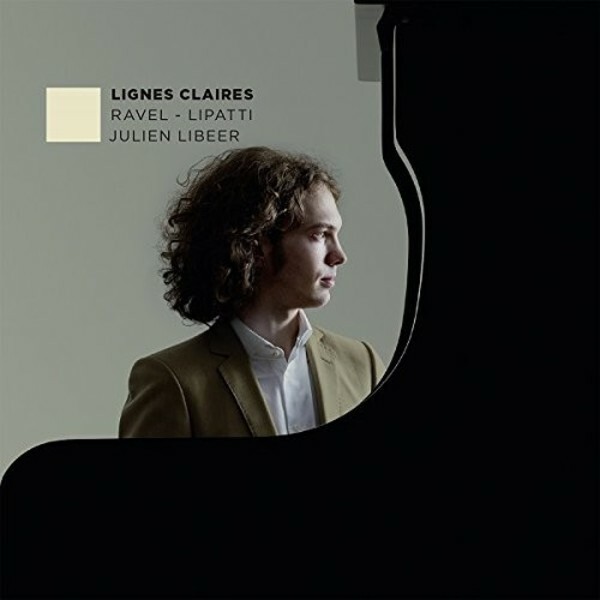 On his debut album entitled Lignes Claires, Libeer lays bare the luminous lines in the music of his favourite composers, exploring the reticent sensibility in Ravel’s Tombeau de Couperin and Valses nobles et sentimentales, and the haunting hypnotism and delicate understatement in the Nocturne and Sonatine by the Romanian piano virtuoso Dinu Lipatti (1917-1950), whose output as a composer has been unjustly eclipsed by his aura as a performing genius.